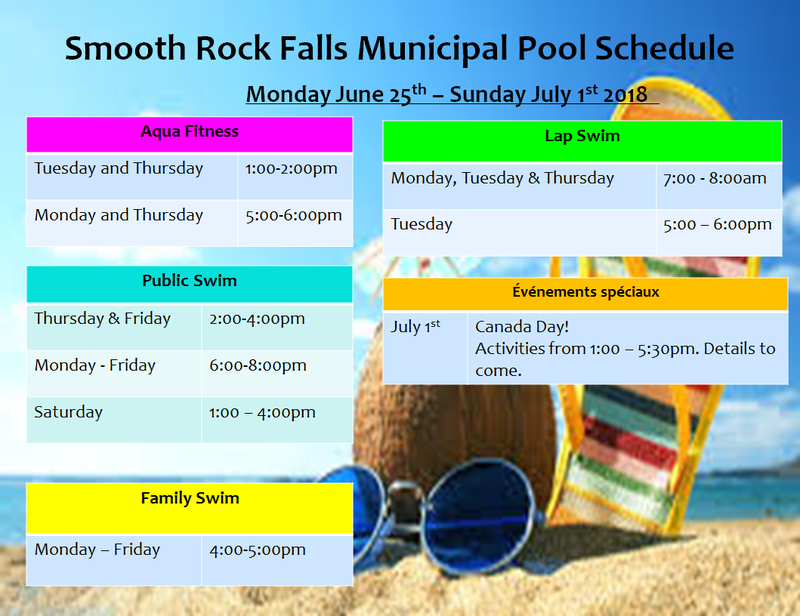 The Smooth Rock Falls Public Pool is opening for the 2018 summer season on June 25th! 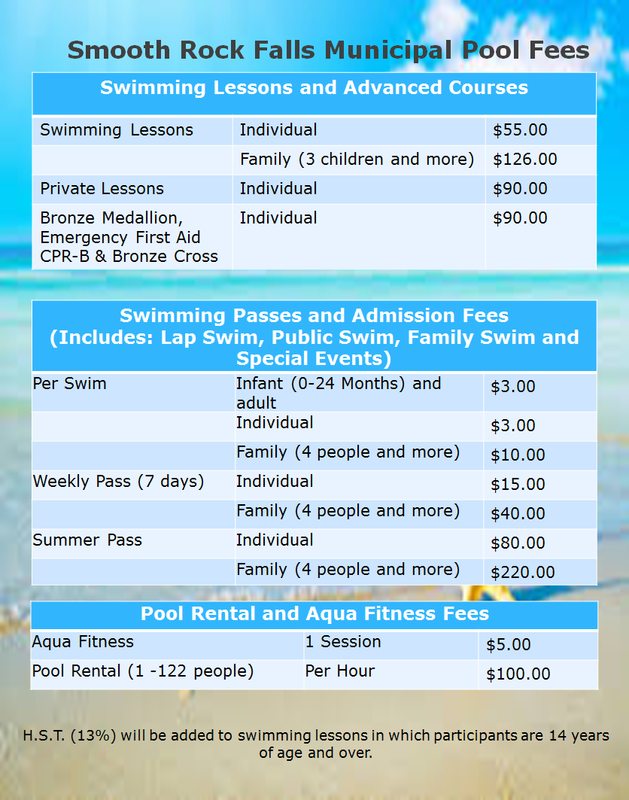 If you are interested in swimming lessons and swim passes, come by the Town Hall to register. As of June 25th, all registrations will be held only at the Swimming Pool, accepting cash and cheque. 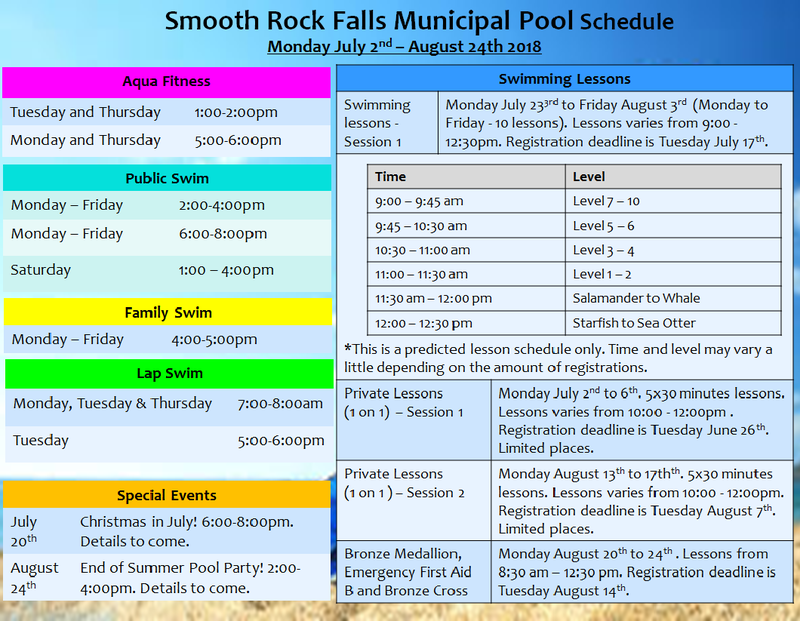 Please note there are deadlines and limited spots for swimming lessons. Below is all the information about the pool, including the pool schedule, registration forms and the prices. We hope to see you there! You can also visit the pool’s Facebook page for the most up-to-date information during the season.